The Alpha-H Fresh Skin Essentials Duo combines a triple action cleanser with a skin-refining face scrub to promote a smoother, refreshed and radiant-looking complexion. Infused with skin-loving ingredients, the products work in tandem to balance, decongest and cleanse the skin. A non-foaming facial cleanser that gently but thoroughly lifts away dirt, makeup and impurities from the skin. Delivering 3-in-1 action, the mild cleanser contains Cucumber and Aloe Vera to help cool and comfort skin, whilst Thyme provides natural antibacterial properties to help calm and relieve the appearance of blemishes. Safe for use on the delicate eye area, the face wash respects skin's pH level and helps to cool and balance normal, combination and problematic skin types; it minimises excess oil to reduce the flare-up of breakouts. A non-abrasive exfoliator enriched with 12% Glycolic Acid, eco-friendly Jojoba Beads and Caffeine for professional microdermabrasion at home. Supercharged with skin-loving ingredients, the face scrub gently sloughs away dead skin cells to refine and clarify the appearance of skin; its deep cleaning performance and antibacterial properties help to decongest pores, minimise the appearance of wrinkles and pores, and brighten and revitalise the overall complexion. Promoting a smoother, radiant canvas, it improves skin's surface whilst stimulating the senses with an aromatic blend of Peppermint Oil and Cucumber. Skin feels soft, smooth and supple. Exfoliating can help improve absorption and efficacy of subsequent skincare products. Suitable for normal/combination, oily/problematic and mature skin. 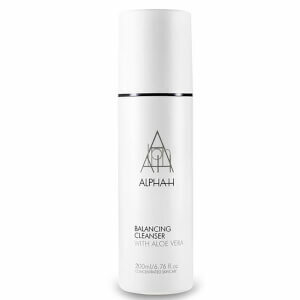 Cleanser: Dampen face and apply cleanser. Massage over the entire face and remove with a warm damp face cloth. Exfoliator: Dampen face and apply exfoliant. Massage over the entire face, avoiding the eye area and remove with a warm damp face cloth. 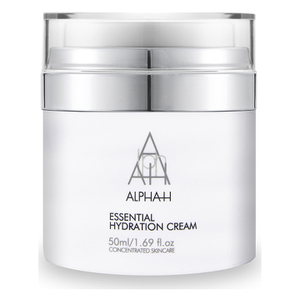 Apply exfoliant twice a week and follow with your preferred Alpha-H moisturiser.